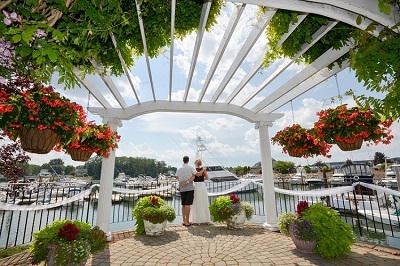 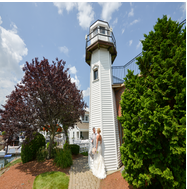 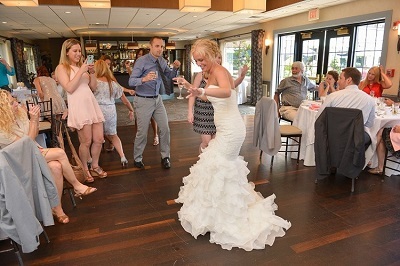 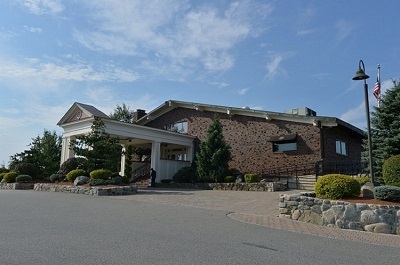 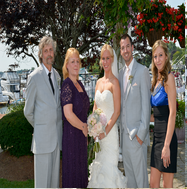 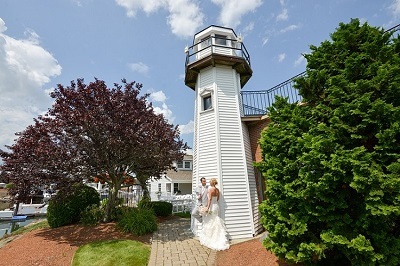 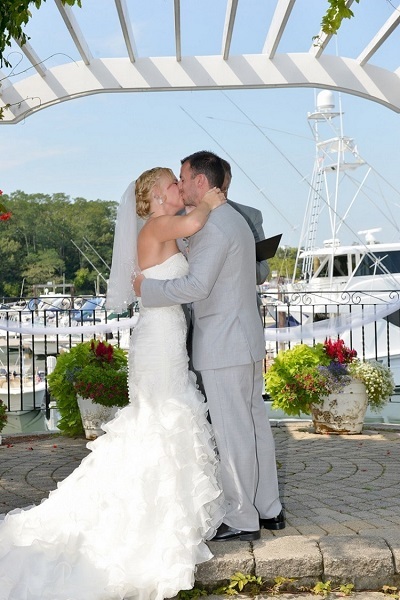 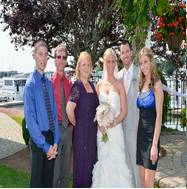 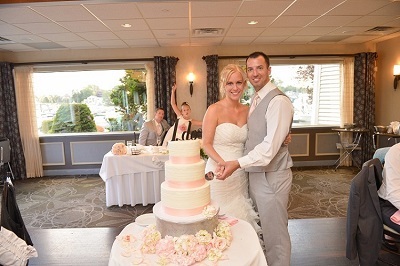 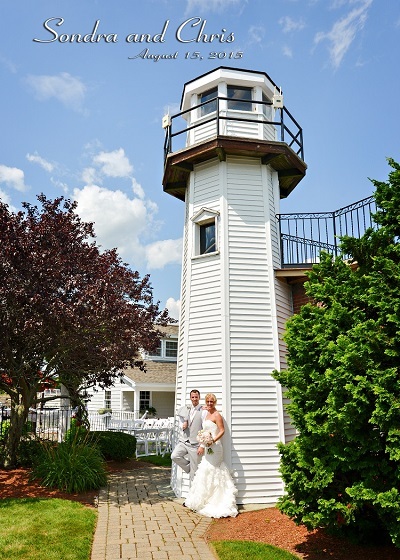 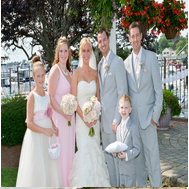 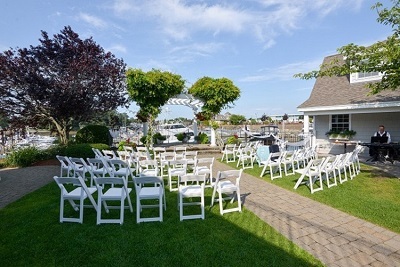 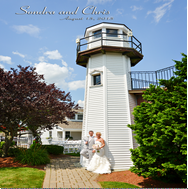 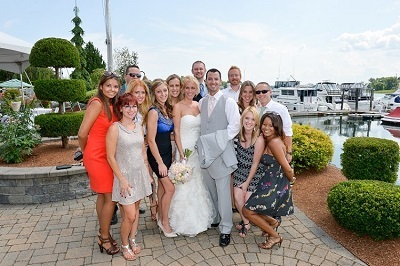 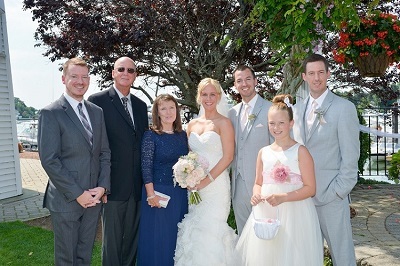 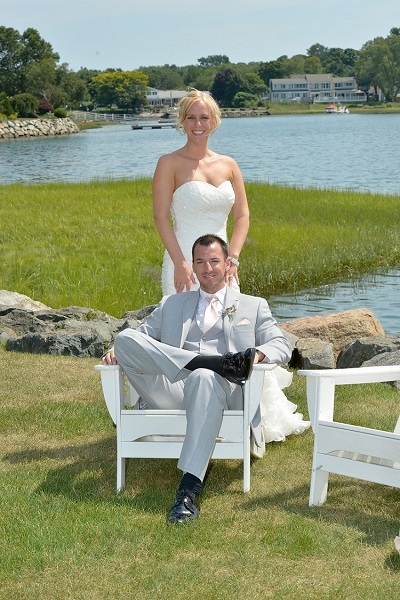 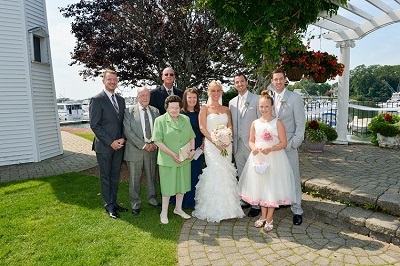 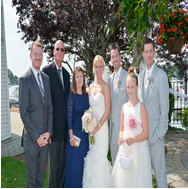 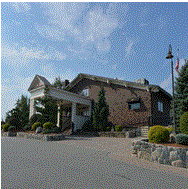 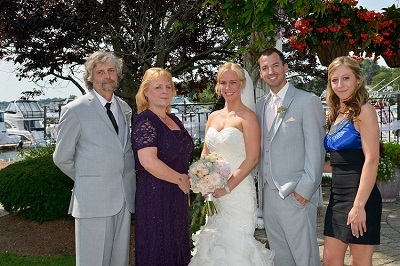 My wife and I got married at the Danversport MA MarinA which is a beautiful outdoor spot on the ocean. 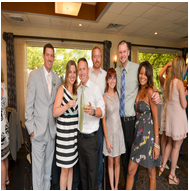 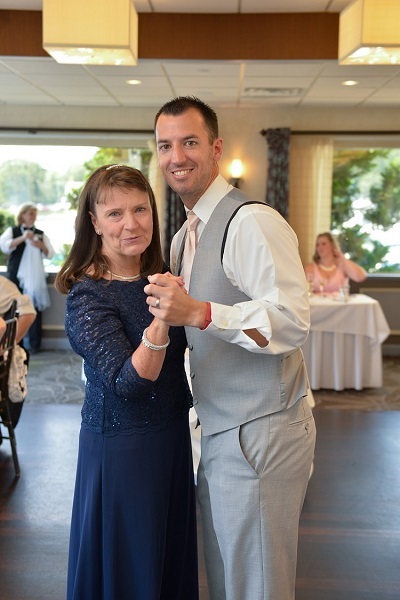 There were 60 close friends and family members that supported us while we spoke our own written vows and said "I Do". 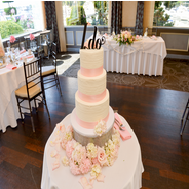 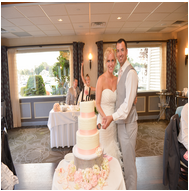 We took hundreds of pictures in the hot sun, ate good food, ate the beautiful cake, danced and enjoyed the company of everyone close to us. 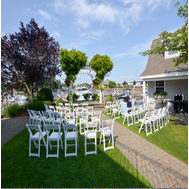 It was an early afternoon wedding that ended while the sun was still up rather than a loud night time wedding, and we loved how quaint it was. 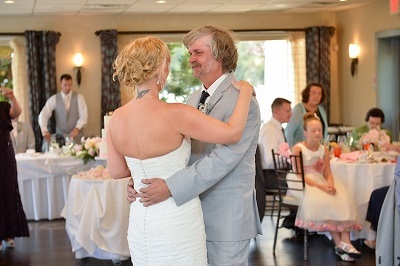 We only had one rule, neither of us could invite anyone to the wedding that the other one hadn't met. 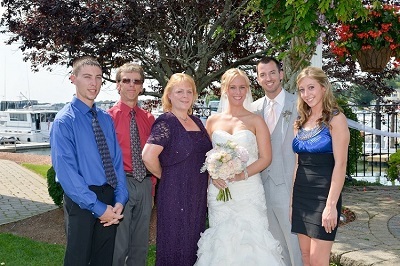 My brother Alan and her sister-in-law Ashley were the best man and maid of honor. 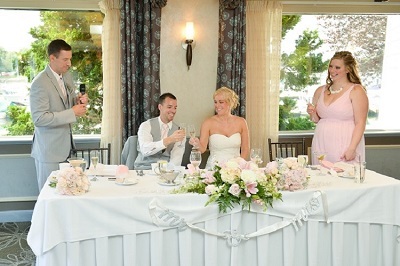 They both helped us with all the details as the big day approached and they both gave great speeches that were nice and funny at the same time. 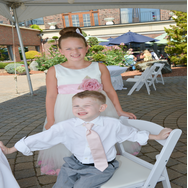 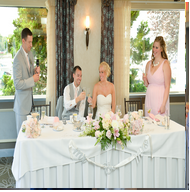 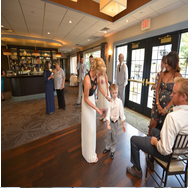 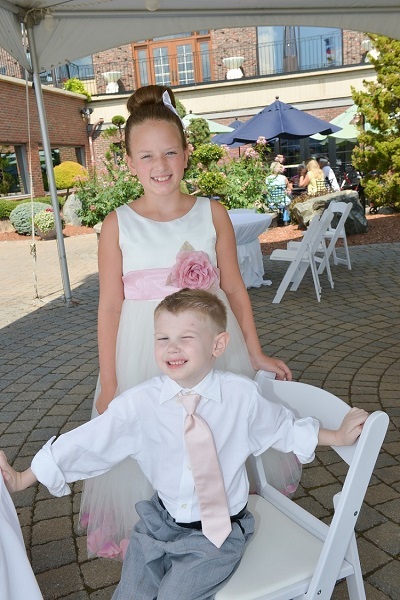 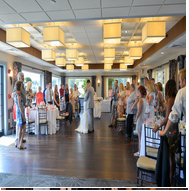 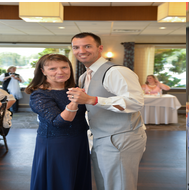 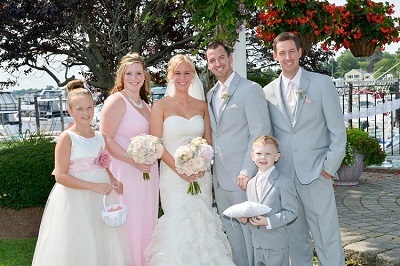 Alan's daughter Kaylee was the flower girl and Ashley's son Caden was the ring bearer, seen in the pictures above. 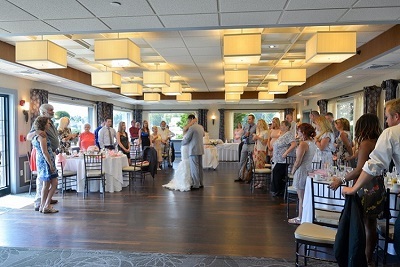 We ended up leaving from the venue to stay the night in Boston MA because we were flying to Aruba the next morning. 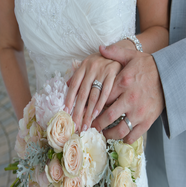 We stayed in Aruba for 10 days at the Marriott on the beach, and it was amazing. We will continue to travel to Aruba in the future because it's so beautiful and peaceful there.